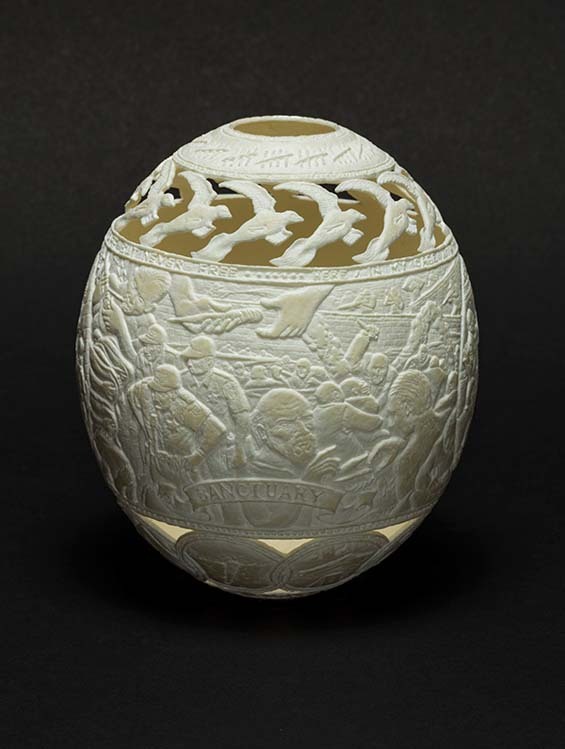 American artist Gil Batle spent over 20 years in Californian prisons for fraud and forgery. 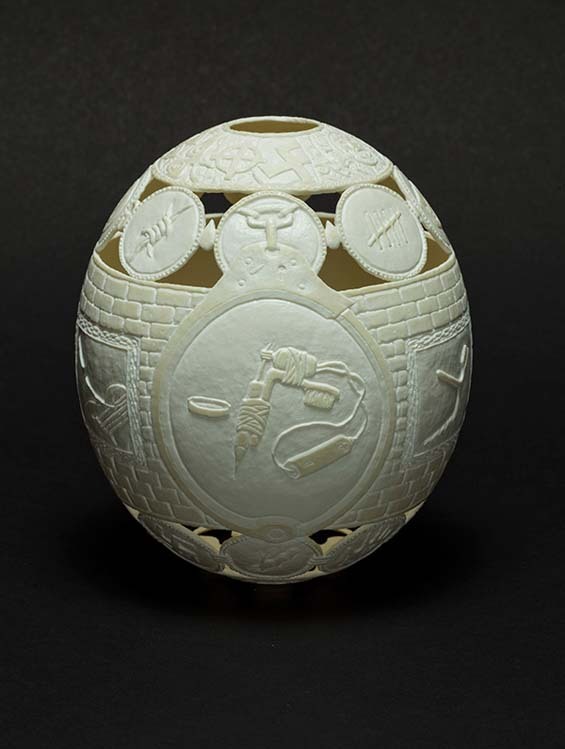 Batle did time in some of the state’s most infamous facilities, including San Quentin and Jamestown, living constantly under the threat of gang violence, a threat he managed to overcome with the help of his ability to draw and tattoo with extreme precision. 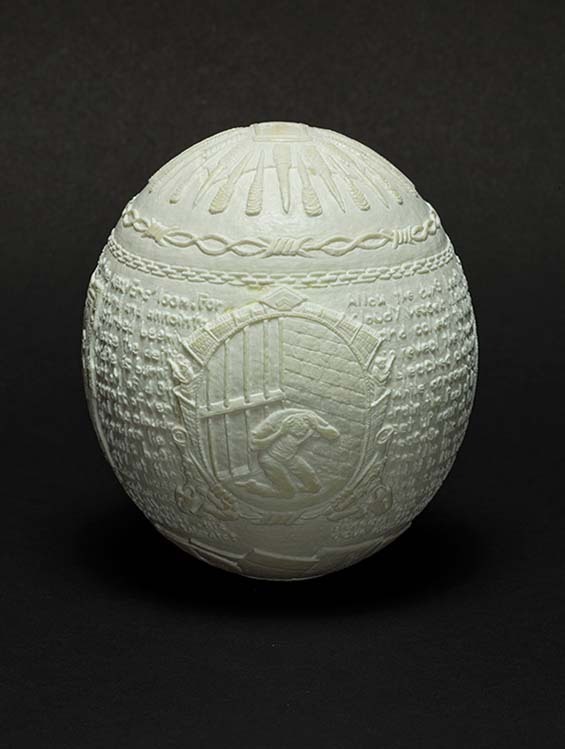 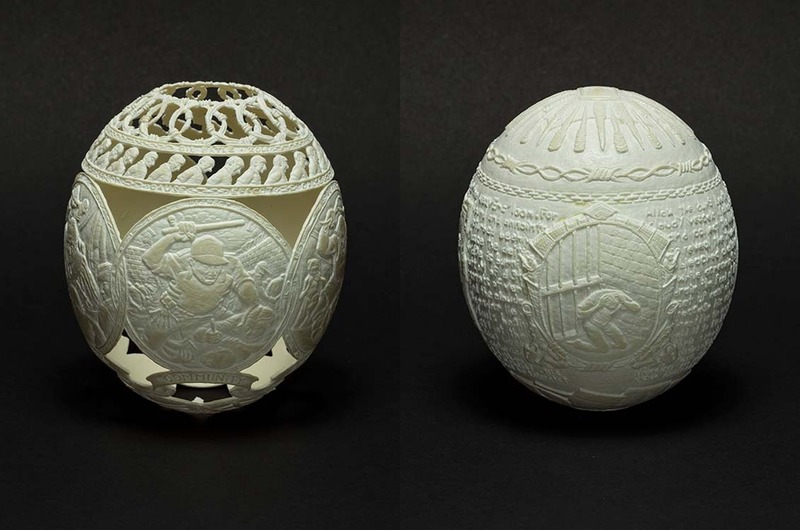 In his forthcoming exhibition ‘Hatched in Prison’, featured at the Ricco/Maresca gallery in New York from November 5th–December 5th, 2015, Batle will be presenting the viewer with his experiences of life behind bars in a truly captivating way: the artist has carved his tough memories on ostrich eggs. 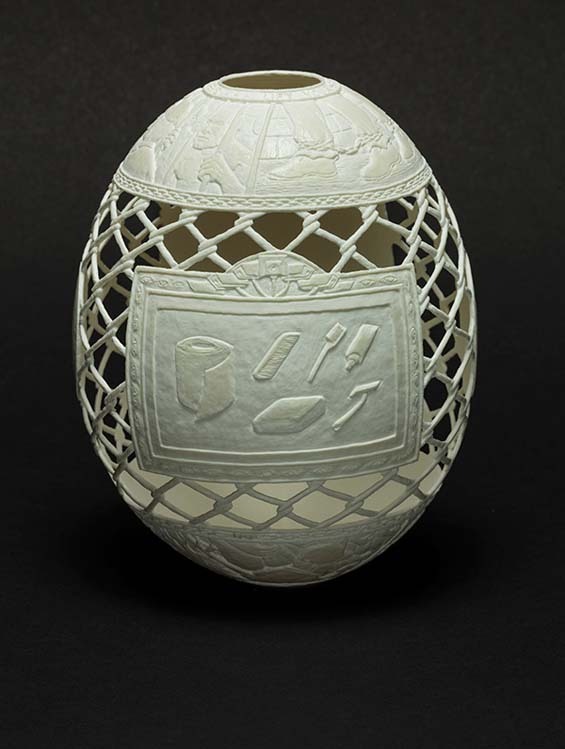 Their delicate surfaces become his canvases on which we see brutal images of isolation, beatings from security guards and chain gangs under patterns of barbed wire, gang symbos, shivs and chains. 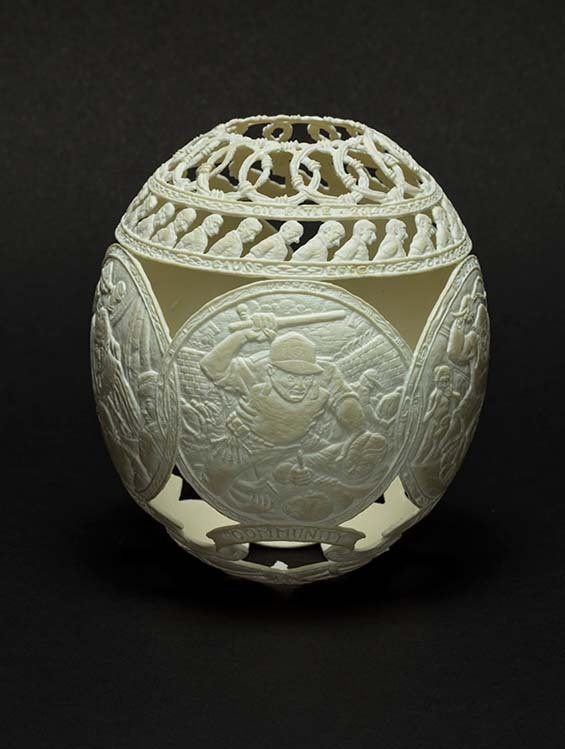 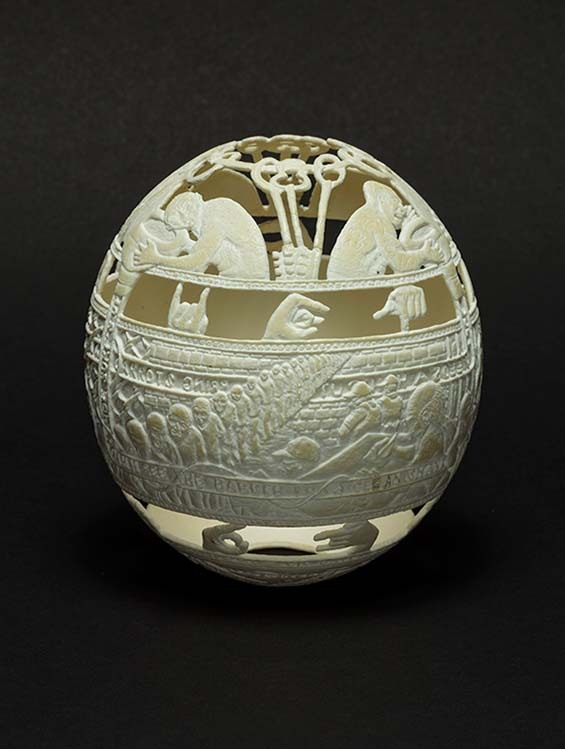 All these scenes that have traumatized the artist are carved on the eggs with impressive detail.